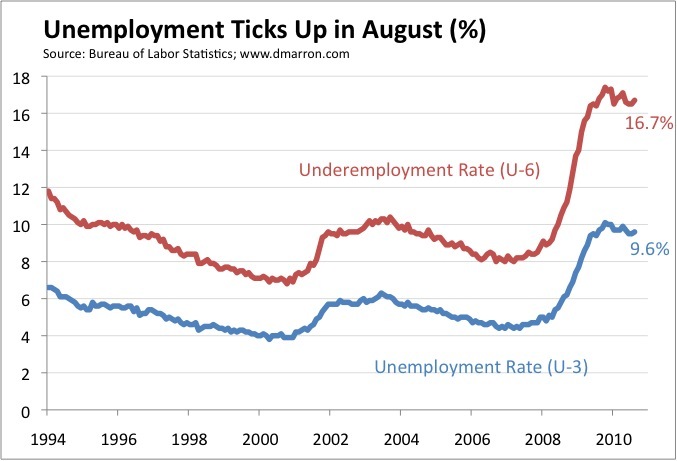 Both the headline unemployment rate (U-3) and the underemployment rate (U-6) are below their peaks of late 2009, but have basically been moving sideways. That’s much better than the sharp increases in 2008 and most of 2009. But we have a very long way to go.